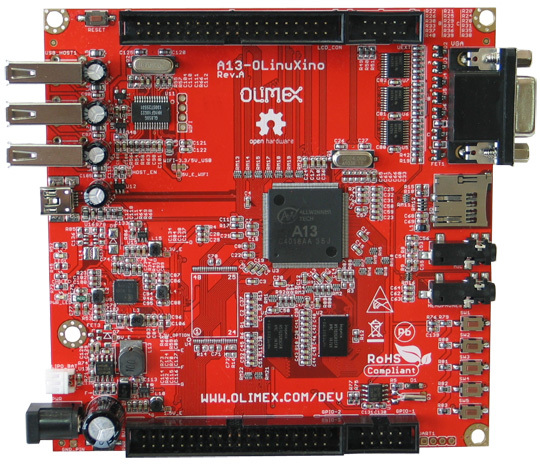 Cheap board with Allwinner A13 SoC. Serial port is mapped on the UEXT port pins 2,3,4. There is some support for the board in the latest openwrt trunk.